Location was good for the price. Room service was also good. The car park was wonderful - securely locked - felt safe. I arrived before check in time and was able to leave my car in the car park - that was very much appreciated. There was ample tea and coffee in the room too. Excellent value for money. Bus stop a few yards away. 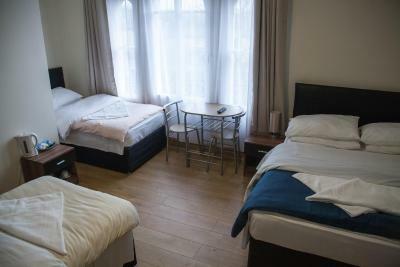 Spotlessly clean, quiet, with comfortable bed and good quality linen. Plenty of hot water. Everything that should work, did. Room was small but cosy and had everything I needed. Staff were very helpful and pleasant. I didn't take the breakfasts. Location wonderful, walkable from town but with a bus stop right outside. One parallel street away in Cowley Road were numerous interesting restaurants and bars plus an independent cinema. Altogether excellent and excellent value for money. 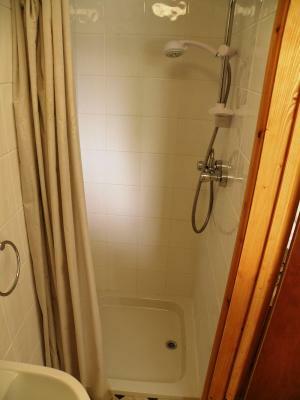 Friendly staff, walking distance to the city center, next to the bus station, clean, cozy, …. Surely I am going to stay there next time too! 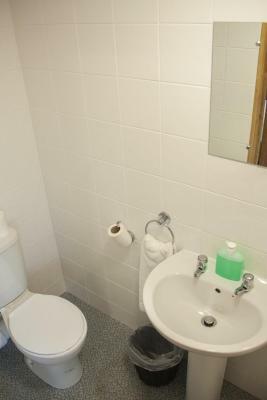 Very clean rooms Convenient, about 20 mins walk from city centre, 30 mins from train station. Check in was open til 10 which was useful for me. Good value, good location, helpful staff. Bed very comfortable. I wouldn't recommend this place unless I had no alternative. The sheets were clean. 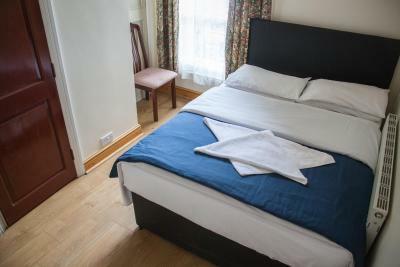 One of our top picks in Oxford.Cherwell Guest House offers accommodations with free WiFi in Oxford, conveniently set 1 mi from University of Oxford. The property is close to popular landmarks like St Stephen's House, St Hilda's College and Corpus Christi College Oxford, all reachable within 0.7 mi. 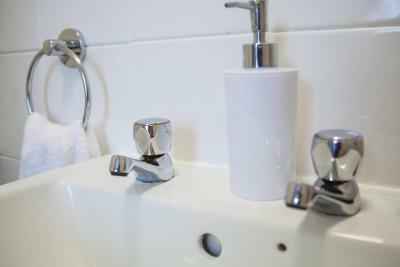 All rooms at this guest house are fitted with a flat-screen TV and a kettle, and feature private bathroom facilities. Some units also offer garden views. 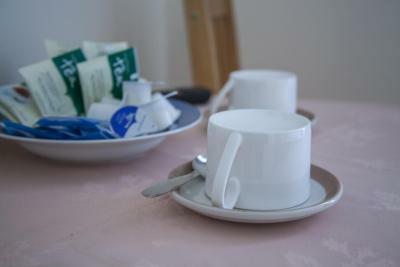 The Queen's College is a 14-minute walk from Cherwell Guest House. When would you like to stay at Cherwell Guest House? House Rules Cherwell Guest House takes special requests – add in the next step! Cherwell Guest House accepts these cards and reserves the right to temporarily hold an amount prior to arrival. Please note that parking is subject to availability and on a first-come, first-served basis, as parking spaces are limited. Commercial vehicles cannot be accommodated in the property's parking area. Check-in is strictly between 14:00 and 22:00. Check-ins cannot be accommodated after this time. Please note, guests can check-in until midnight with prior arrangement with the property. Please inform Cherwell Guest House of your expected arrival time in advance. You can use the Special Requests box when booking, or contact the property directly using the contact details in your confirmation. Good Value!!! What more would I ask for??? It's more a UK problem don't having shutters, so early in the morning, even with curtains, the light comes in. The room was unexpectedly big. Overall clean. For that price the position is great. The staff was super kind. - Need to climb up with a very steep stairs. Not recommended if you're travelling with elderly & kids. - Heater in the room was not worked at all. Room was too cold. - Very old fashioned room. Everything looks tired, seems like student accommodation. - No shampoo and body wash soap provided. 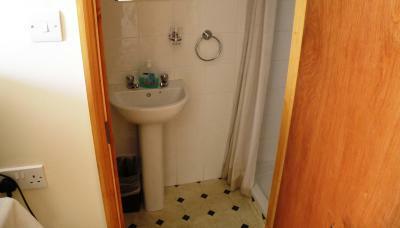 - small & outdated bathroom. Appeared to be in the middle of being refurbished(Hopefully) . Expensive for what was provided. Very clean. Hot shower. Friendly staff. Good location. 20 minute walk to city centre, bus (3 or 3A) is about 6 minutes. Car park is secure. Nothing specific. I can’t comment on the food as I didn’t eat there. Mattress could have been better but didn’t prevent good sleep. Bed linen good. Convenient for the city centre. Appreciated the secure parking area. Professional and friendly staff. Very clean and efficient. 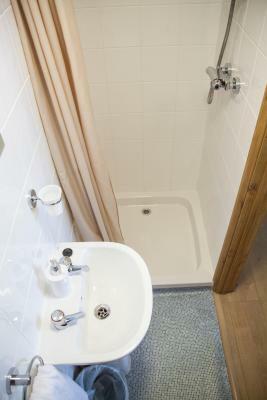 The bathroom was very small and there were no hooks/rails for the towels. Note also that the shower is electric and so you need to turn on the switch outside the bathroom - it took us a little while to work this out as the reception staff did not inform us of this. The location is very good - not far from the centre and there are also nice restaurants and pubs nearby. Bed was very comfy too. The gentleman on the front desk was extremely helpful and accommodation was fine.